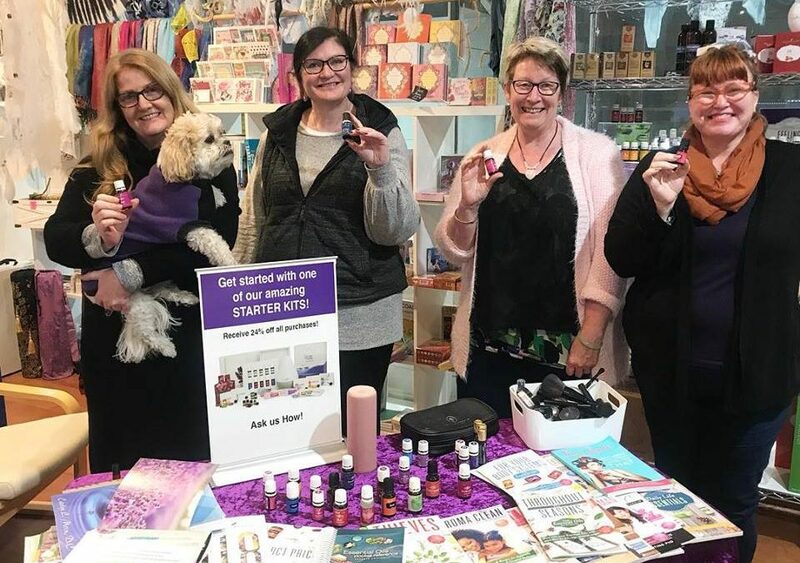 They learnt how Essential Oil works, how they can help us stay above the wellness line, how to create a toxic free lifestyle and much more. The energy was high during the evening and they were eager to become empowered well-beings. They are now part of the aspire “joy droppers”. The aspire “Joy droppers” support each other on the journey. We have people from all over Australia but also in other countries. The closed Facebook group let’s people learn, connect and share and we also catch up in person of course. This journey is about building relationship and about personal growth on the same time as improving ones lifestyle. This lifestyle have changed my life, in fact it’s transformed it and I love assisting other women on this journey too. I love seeing people improve their health and wellness, grow, connect and loving their wellness & life journey. So why would YOU decide to join us on the “oily” wellness journey? Well, here are some “why’s”? You will get the BEST VALUE ever with one of these packs!! Choose from the Premium Starter Pack (the Premium Starter pack with either the Dewdrop or Desert Mist diffuser it the most popular one) or other Starter Packs. You automatically receive wholesale prices after this as the pack includes a FREE WHOLESALE ACCOUNT. You can order as much or as little as you want. There are no extra fees. You can get FREEBIES by ordering products monthly – that is right – you can get FREE oils! It’s easy, we can help you with this. You become part of Aspire Wellbeing’s amazing “Oily” community called aspire “JOY DROPPERS”. We support you fully on your oily journey and you get discounts to our workshops and we also have a closed group on Facebook which you can be part of. You will receive a free ticket to one of our Wellness and Essential Oils Workshops. You will receive a document explaining how essential oils works and how you can use them. 💚 Click on this link and follow the steps to get your pack. I will be notified as you do so and you will also receive a welcome email from us and we will connect. 💚 You can also give me a call, Karin Hagberg Ph: 0419-362 136 and I can organise it over the phone. 💚Or pop into Aspire Wellbeing, 4/19 Gilbert Street, Torquay. It’s your life, your health? Ask yourself, are you an empowered well-being?